MAYFIELD CITY SCHOOLS – When Laurel Ravida talks about Gates Mills Elementary she easily describes a learning environment that not only supports student-driven innovation and collaboration, but also personal relationships. “There is such a strong sense of community and family here,” said Mrs. Ravida who will step into the principal’s position upon the July retirement of current principal Tammi Bender. “My goal has always been to become a building principal. After touring Gates Mills Elementary and meeting the school community, I know it’s the right fit. August can’t come quickly enough,” she said. Mrs. Ravida joined the Mayfield City School District as the Assistant Principal at Lander Elementary in 2018 where Principal Felecia Evans said she has become a strong and positive influence at the school in a short time. 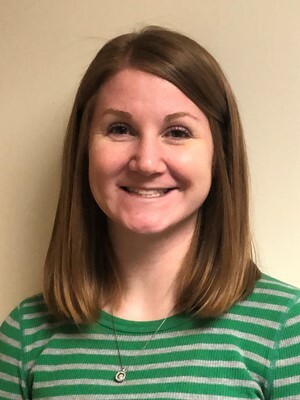 Prior to coming to Mayfield, Mrs. Ravida worked in the Willoughby Eastlake City School District as an Assistant Principal and Curriculum Coordinator. She began her education career at St. Rita School as a second grade teacher and later was appointed Assistant Principal. Mrs. Ravida’s educational leadership led her to be named the recipient of the Dr. Sally H. Werthiem Educational Leadership Scholarship and the William P. Hoffman Educational Administration Scholarship. She and her husband, Dave, live in Twinsburg with their three miniature Schnauzers, Bowser, Baxter and Brady.